I’m thinking that most of my posts start with an apology for the length between posts. Oh well. Maybe I should create a generic disclaimer/apology and just copying it into each new post. Something like what I used to do for fanfiction. 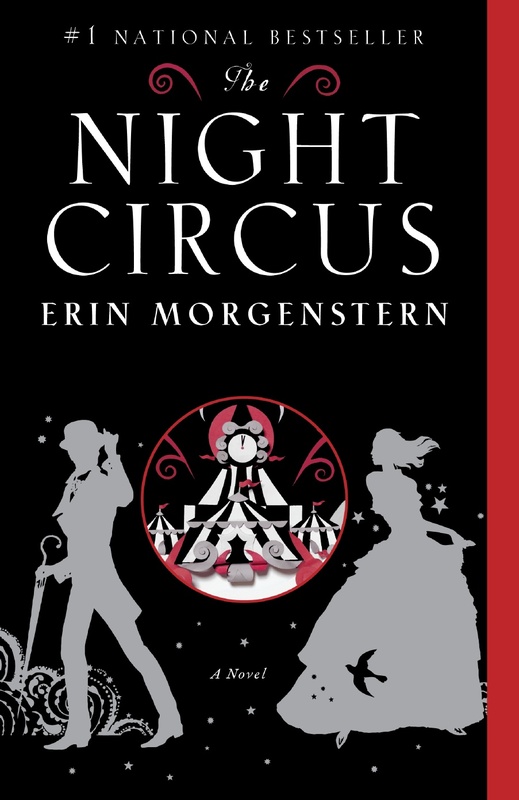 So this post is going to reflect on immortality; the last of set of books that I read began with The Night Circus, which I believed to classed as a young adult novel because of the ages of its protagonists, but I think that it might be a bit older. Either way, it was a great book to read. The Night Circus is a competition between two illusionists: true illusionists, not stage magicians who use sleight of hand to fool their audiences. And in a way, there are two sets of competitors, the two who are pitted against each other and the two men who have manipulating the competitors for years. I realized that I had to check the “time stamps” on the chapters. There are parts that take place in the currently decade, which are easy to spot: these passages are usually short and told in second person point of view, using ‘you’ and making the reader part of the experience. Very cool by the way. Then there is the timeline that explains the training of the two competitors and what they are talented at and how the Night Circus came to be. And there is a third timeline that is a little ahead of the second and it brings the reader up to what could be considered the “end” of the competition. But the three timelines are told concurrently, so if you don’t watch the time stamps, you’re not always sure where you are in history. But what I grasped almost from the start was that the manipulators are old; they have lived lifetimes, although one has now moved onto a secondary plane of existence and continues to haunt this one. And the members of the Night Circus don’t quite age with the rest of the world and although new people join, not many leave. How do you watch the rest of the world age and you don’t? Some of the characters don’t deal well with the strain. (This is a strain I plan on returning to, since I am now reading Abraham Lincoln, Vampire Hunter and it touches on the immortality/aging issue as well). My one issue with the book is the culmination of the competition. I think the outcome and what happened is the best way for everything to end, however there were points leading up to the end that felt forced and hurried. And I could see the introduction and build up of characters and history and how everything was going to come into play, eventually and while I like the book and the ending, something about the events felt off. That’s the best I’ve got. However, I still encourage everyone to go out and find a copy of The Night Circus and read it for themselves. I never give all the details; heck, I haven’t even given out character names in this post and there are so many other elements that I haven’t even touched on, like the people who follow the Night Circus and the acts and Circus itself. Also, visit Erin Morgenstern’s website (http://erinmorgenstern.com/) because she designed a tarot card set that is pulled from the book and I am wicked jealous of her artistic skills and her writing skills (I can draw, with a great deal of effort and concentration; hers looks natural and innate). Plus, she just sounds cool, so go visit.